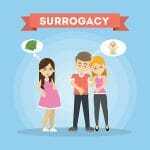 Surrogacy is a situation that many people may only encounter in a TV storyline, a high-profile celebrity announcement or a dramatic news story about surrogacy gone wrong. Indeed, it is believed that only a few hundred British children are born each year as a result of surrogacy arrangements. Therefore it took some aback when, after the Law Commission opened a broad public consultation on areas of potential law reform last year, surrogacy reform was by far the most responded-to proposal – interest in surrogacy reform far outstripping interest in areas that directly affect more people, such as leasehold reform or banks’ duties to customers. Whilst surrogacy is still far from commonplace, occurrences of surrogacy have significantly increased over the last ten years and its prevalence is only expected to continue to rise. However this trend has not been accompanied by an increase in the clarity or certainty in the relevant law. The status quo does not adequately serve those who enter into surrogacy arrangements or the children born as a result. To use the Law Commission’s words, what are the “significant problems with the law” that drew such strong engagement with their consultation and where might reform lead? become that child’s parents for all purposes. The courts have extended or modified the statutory requirements around surrogacy, but case law alone has not been able to resolve the underlying problems in the statute or to find solutions to all difficulties. What does the law say about surrogacy? For example, the woman who gives birth to the child is legally regarded as the mother, so for other parties to become the child’s legal parents, they must apply for a parental order under section 54 of the Human Fertilisation and Embryology Act 2008. However, the law explicitly requires that two people make an application; as such a single person is seemingly prevented from applying for a parental order under the Act. This discrimination has been declared to be incompatible with the European Convention on Human Rights. There are several particularly challenging issues with regard to international surrogacy arrangements. For instance, there may be uncertainty about the nationality of children born to surrogate mothers from another country – indeed, there may even be the risk that the child is rendered stateless. Thus far, case law has acted to patch the ‘gap’ in the law and ensure that the intentions of the parties are released and new-born infants are able to ‘inherit’ their intended parents’ nationality. Further, this risk contributes to the potential for problems bringing the child into the UK, not to mention the increased risk of exploitation of one or more of the parties to the surrogacy arrangement. These are just some of the most glaring examples of issues surrounding surrogacy in English and Welsh law; however, they dramatically demonstrate the difficulties that can be faced by all parties and the uncertainty and irrational situations that can be caused by the current workings of the law. Returning to the question of reform, the Law Commission has been straightforwardly critical of the existing law on surrogacy, calling it “outdated and unclear” and requiring “comprehensive reform”. Reform of the law on surrogacy is now part of the Commission’s 13th Programme of Law Reform. It is clear that reform could deliver significant benefits to all parties to surrogacy arrangements, not least the children born of them. But the formal process of proposing reforms, though due to begin shortly, is expected to last for two to three years and there is no guarantee that Parliament would act swiftly to put recommendations on the statute book. As such, it seems it will be some time before substantive legal change can be realised. If you are considering surrogacy or going through the process and would like legal advice, please contact our specialist team of family law solicitors in London on 0800 437 0322 or request a call back online.